We have a lot of bats flying around our house at night and I think they are awesome! I loved making these simple bat coloring pages and I think they will make a great intro to learning about these animals. I think coloring sheets are a great way to start learning about animals (like about peacocks with peacock coloring pages) and other subjects as they are stress free and usually pretty much fun. So let’s do some coloring! I remember when I first saw a bat. Me and my sister were sitting in front of the house and a bat flew by. I thought it was a bird. My sister told me it wasn’t a bird but that it was a nocturnal flying rodent and naturally didn’t leave out the scary made up parts that my young head took as facts – vampires! I was scared to death. She told me they launch at you from above get tangled in your hair and bite you – leaving a mark to come back for you as a vampire later in the night. A cute bird like animal turned to a monster within seconds in my eyes. It took me years to stop fearing them and gradually developed admiration and love to these in reality super cute animals. Now I really think they are awesome! 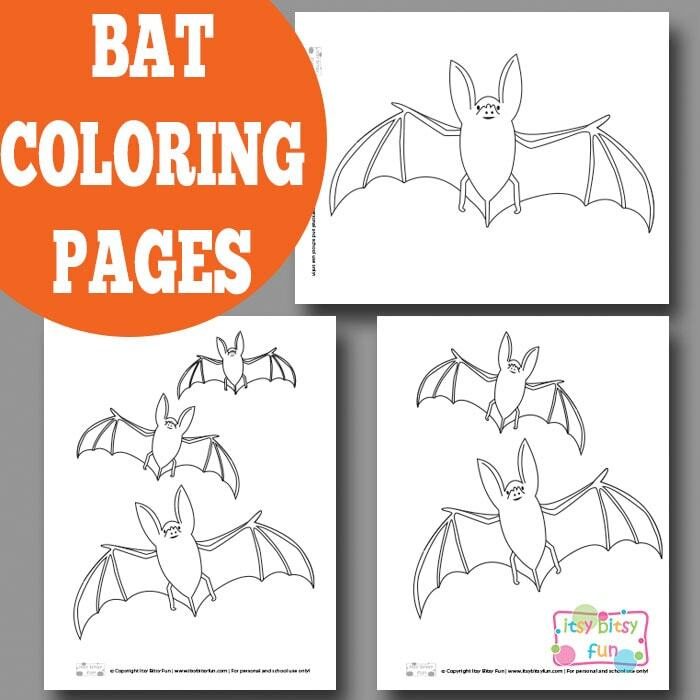 I’ve made 3 pages with bats (3 different sizes) for your kids to color. Get your free printable Bat Coloring Pages here.